Instagram Polls: Who’s Done It Best? 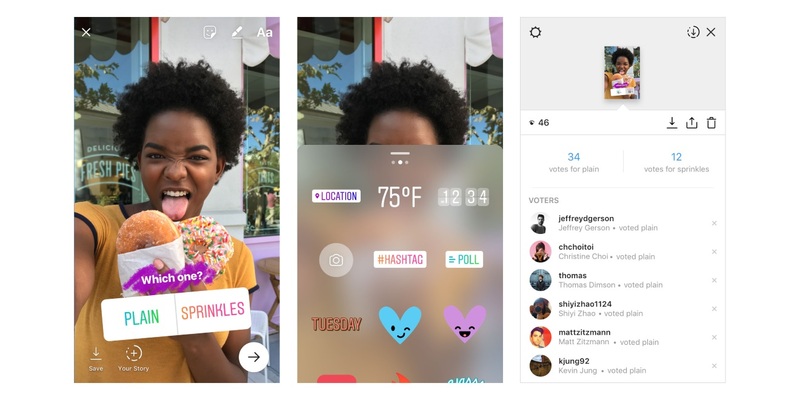 Earlier this month, Instagram introduced a new feature as part of its Stories platform, polls, which allow both brands and individual users to add customizable polls to their Stories and collect feedback from their audiences. 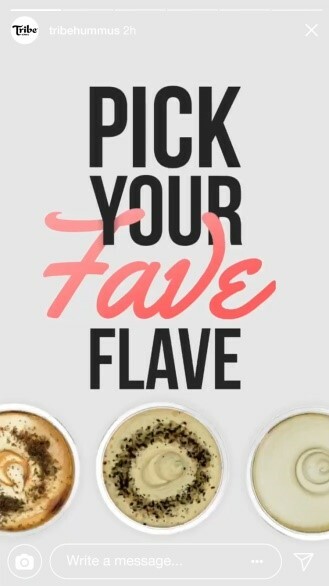 While currently only an organic feature, polls present a number of compelling opportunities for brands, from a chance to elicit real time consumer feedback, to crowdsourced decision making, to a future remarking opportunity based on consumer-provided responses. So how have brands used this new feature so far, and what can we learn from them? While documentation around new non-advertising social features is often well-outlined for consumer use, it can sometimes be lacking from a brand perspective. In these cases, the best way to understand how a new feature can be used for a brand channel is often to actually go into the platform to make, break and learn. 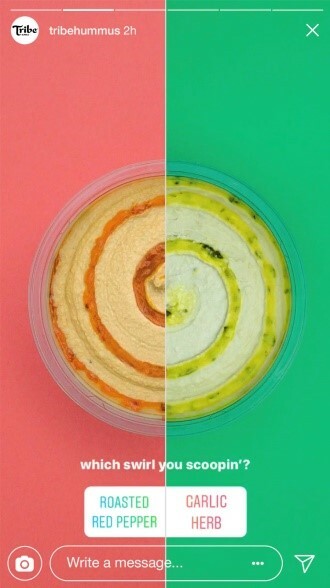 A prime example comes from Tribe Hummus, one of Arnold Worldwide‘s clients and one of the first brands to get the feature up and running. A nimble team that was willing to pressure-test the new feature as soon as it launched enabled it to turn around relevant creative within 24 hours of release and reap the benefits that go along with it. An easy way to get started with polls is to look for opportunities to enhance or extend existing experiences. 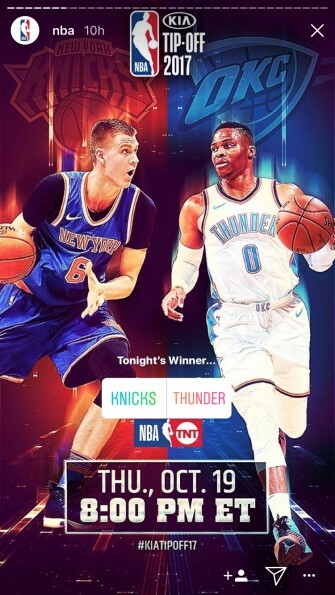 In the cases of the National Basketball Association and Major League Baseball, they found a natural fit for the new feature by asking their audiences who they thought would win upcoming matchups, building anticipation around their core product (the game). Networks like Discovery have also demonstrated how you can enhance an existing experience, prompting their audiences to share their opinions and reactions to show happenings, in effect building a deeper level of engagement. While those brands certainly have the luxury of entertaining consumer content, opportunities exist across all businesses and industries. Think about ways that you can use polls to improve or extend the experience around your own product. You should look at social as the modern-day focus group. Instead of testing messages in an artificial and unnatural environment, you can actually put your message out into the real world to see how your audience responds, easily scaling up activities when they resonate. This new feature adds one more tool to your arsenal to get the feedback you need to make decisions, from aiding with product development to helping marketers identify the most effective advertising messaging. 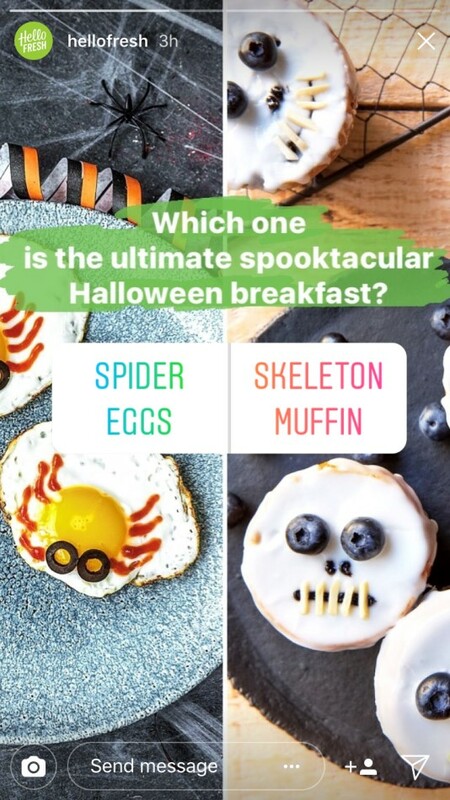 One such example comes from HelloFresh, which used the new polling feature to see what recipes or food creations might resonate with its audience. These types of insights could easily be used to help inform their actual product moving forward. Admittedly, brands have only grazed the surface of what’s possible with this new feature. From a content standpoint, there’s fertile ground to start introducing engagements that directly and creatively leverage crowdsourced opinions. 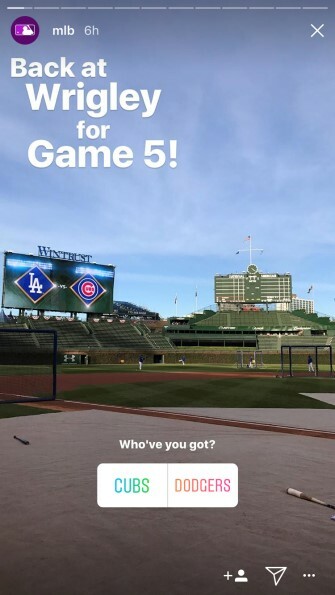 Akin to reaction/engagement-based Facebook Live interactions that we’ve seen from brands, where Reactions are used to determine brand actions, brands can now build compelling activations around decisions that consumers can vote on. From a media standpoint, there’s also potential for marketers to leverage the data that might be acquired through this feature to further segment audiences. A given person’s poll response could be a cue to the advertising messaging that is most relevant to that individual, providing the potential for a more efficient conversion. While that targeting feature doesn’t currently exist, expect Instagram to realize that opportunity in the near future, and think about how that could be leveraged to improve the effectiveness of your advertising. All that said, brands still have plenty of opportunities to get creative with this feature. I expect brands to do a lot more in the coming weeks, and I am excited to see what they’re able to produce. Matthew Dunn is director of engagement planning at global creative agency Arnold Worldwide.